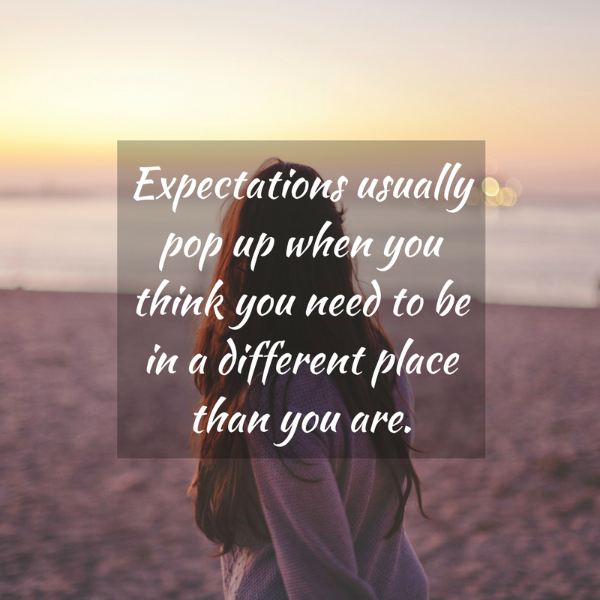 Do you ever get a nagging feeling of comparison or expectation? Do you ever wonder why you're 'not there yet' or taking longer than you thought to arrive? I was talking to a friend today about the struggle of seeing others as better than us. This is such a common belief that people have. And a lot of us just aren't always brave enough to admit it. Yet it holds us back from being present and enjoying the moment. When we compare ourselves to others, we often put unrealistic expectations on ourselves. We think we need to be in a different (usually much better) place than we are. Or, we start to question if we have it in us to achieve what it is we really want. This can lead to negative self-talk and an 'internal beat-up'. Common things I hear from my clients are things like:"What's wrong with me"
"I'm so bad at time-management"
"I'm such an idiot sometimes"
Speaking to ourselves like this is hugely detrimental to our relationship with ourselves and also can a flow-on effect to how we treat other people. When you speak kindly to yourself and honour and respect yourself, where you're at and your own unique journey, you will be able to more easily treat others in the same way. There is no obstacle that you cannot overcome, no problem you cannot solve, and no goal that you cannot achieve, if you choose to put your mind to it and do whatever it takes. Remember to stay in your own lane and keep looking forward, not to the left or the right. The journey that you are on is perfect for you, right now. I was recently interviewed by Briana Harkness from Clean Shred on her fantastic podcast, Thrive by Briana which is now up on iTunes. It was SUCH a fun chat, we covered a few different topics about life, health and business.